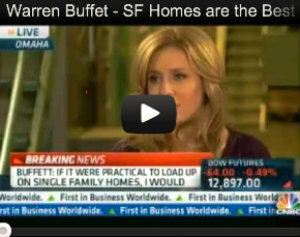 … up to buy luxury homes. The mid to low end market is drying up. Flipping luxury homes may have a higher initial investment cost, but in the right location, the risk is worth it. Since 2011, the number of homes valued over one million dollars that have been flipped has risen 40%. This is the time to take advantage of this investment opportunity and reap the benefits of flipping luxury homes. … studies indicate that real estate owned properties have a rental market that will easily reach $100 billion this year (2012). The biggest beneficiaries will be single-family REO investors in the Midwest and Florida. … epicenter of the turmoil. Real estate prices in the once burgeoning metro area (consisting of several counties) tumbled fast as the foreclosure fiasco gripped the region. However, things are turning around, and investors are seeing light at the end of what was a dismal tunnel. Recently, some areas of the United States have started to actually hit bottom, and that’s good news. Once the market hits bottom, it will start to come back up. A thankful upward trend for the housing market is on the horizon. … Oklahoma, employment opportunities within the agricultural, natural gas, and oil sectors are contributing to a housing market turnaround. Many experts predict a total recovery is in the wings, even as many parts of the United States still struggle through one of the worst economic downturns the nation has ever experienced. Attractive mortgage rates, strong homes sales, and the low rate of foreclosures in areas like the large metropolis of Oklahoma City are driving homebuyers to the state. … no secret that the housing market is still struggling in the US. Everyday you hear attempts to call market bottoms and that now is the best time ever to buy real estate. On some level the media treats this housing crisis like something that has never happened before, which is simply not true. 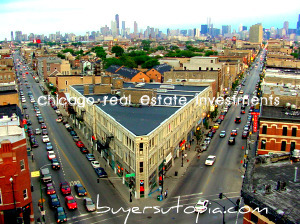 … housing market in the United States is becoming more appealing to foreign investors, who view it as a safe investment haven. These buyers are becoming increasingly attracted to the nation’s low prices and vast inventory.